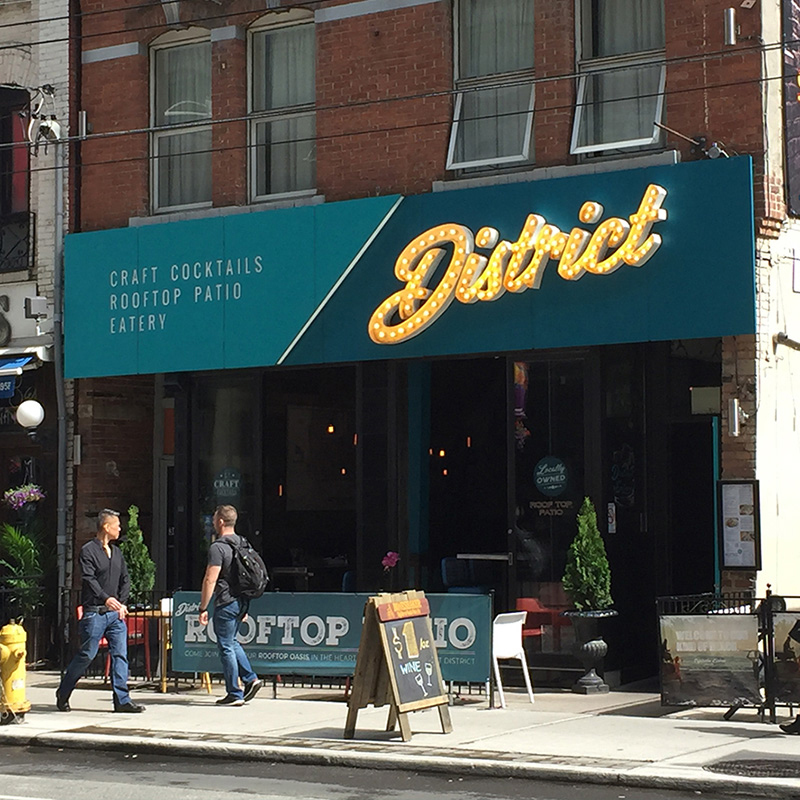 District is a new restaurant located on famous restaurant row on King Street West in Toronto. 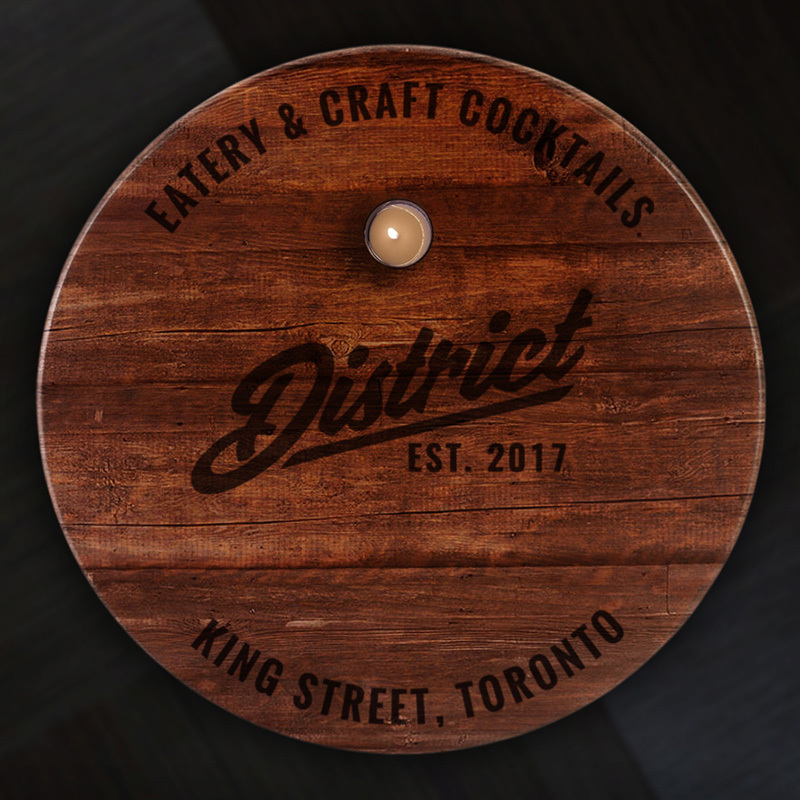 NHD was contacted by Urban Dining Group to design the logo and branding for the restaurant. We also designed the concept for the signage and graphics for the table design, which was burnt into the wood.